A fantaserye on a Sunday night? This is exactly what GMA delivered when it premiered ‘Sirkus’ last January 21. But in contrast to the network’s other fantaseryes, ‘Sirkus’ is a production of the GMA Public Affairs group (notorious for bringing non-news programs to the network) and it only airs once a week. 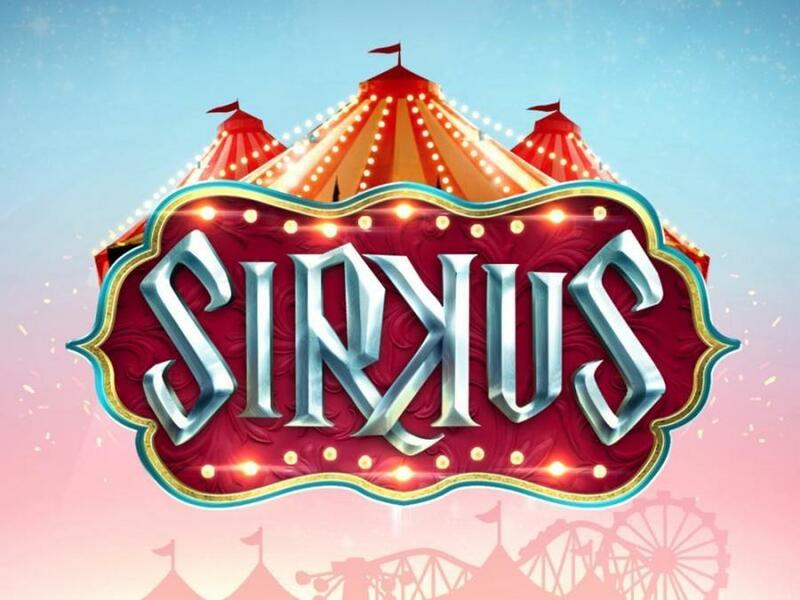 The premise of ‘Sirkus’ is that of two fraternal twins Mia (Mikee Quintos) and Miko (Mikoy Morales) finding themselves in the company of a traveling circus in order to escape from the clutches of an evil villainess. Throughout their quest, the motive behind the villainess’ obsession to catch them will be revealed and their true identities will also be discovered. Also part of the cast of ‘Sirkus’ are Andre Paras, Chariz Solomon, Sef Cadayona, Klea Pineda, Gardo Versoza, Ms. Cherie Gil, Divine Tetay, Gerald Acao, Zoren Legaspi and Angelu de Leon. The director is Zig Dulay. When the series was first introduced to the public in late December, many thought that ‘Sirkus’ would replace ‘Daig Kayo ng Lola Ko’ as the opponent of the long-running fantasy anthology ‘Wansapanatym’. However, GMA had other plans in mind. Not only did the network keep ‘Daig Kayo ng Lola Ko’, it also made significant changes to the late afternoon-early evening Sunday timeslots. As a result, ‘Sirkus’, which replaced the travel series ‘Road Trip’, was assigned to the 6:30 p.m. timeslot and ’24 Oras Weekend’ was bumped to an earlier time. Through two episodes, ‘Sirkus’ has had mixed results in the ratings. Its debut episode barely defeated ‘Goin’ Bulilit’ by 0.4%, but the following week saw ‘Sirkus’ slump by 4% to its opponent. Given the often volatile financial situation of GMA, it was a better idea for them to just produce a weekly fantaserye instead of one that airs on weeknights. But to be produced by GMA Public Affairs instead of GMA Entertainment is once again a desperate act altogether. Whatever the case, one can only hope that ‘Sirkus’ will be the start of many elaborate once-a-week projects that GMA embarks. Such series is for the better of the network at this point because they need all the money in the world to focus on technological improvements that will make them more viable in the age of digitization. Dapat i-merge na yung dalawa since nagiging overdependent ang GMA sa Public Affairs group pagdating sa mga entertainment shows. Honestly, it’s hard to distinguish between the two at this point. Ang gulo ng pamamalakad ng GMA. GMA must be very foolish about their faith in Rasonable. So poor in decision-making and in planning is the head of GMA Entertainment, yet they still trust her. Well, if that’s what they want, then go. It will only make things worse. Which leads me to a bigger question: how come it seems that GMA seems to invest more in its news than its entertainment? GMA’s news programs, despite some flaws, tend to be well-respected, multi-awarded, and the best ones are on par or even better than ABS’s shows (like how KMJS, as flawed as its airtime length is, still has a more professional feel than Rated K, which feels like a tabloid show). On the other hand, GMA’s teleseryes have a lot to be desired in quality; while I commend them for taking risks (like Encantadia), these gambles haven’t always paid of. What happened to GMA? Parang ang layo na nila sa glory days ng original Mulawin at Encantadia na they were giving ABS a run for their money. GMA Public Affairs not only produces teleseryes. They also produce reality shows too. Remember To the Top? That was one of their productions. Then again that should’ve never been their responsibility even though Marissa Flores has done a good job maintaining a high standard of quality for the division. As far as GMA Entertainment is concerned, honestly Lilybeth Rasonable is way worse managing the department that Wilma Galvante. Ever since she took over the department’s performance went downhill. We don’t know why pero overall sobrang mismanaged na ang Entertainment because they rely too much on veterans while leaving the young ones in the background. There’s also the question of finances which should’ve been used to improve their equipment and other capabilities rather than fantaseryes. No wonder they’ve fallen behind ABS because they’re far behind technology-wise. Also, the production aspect leaves a lot to be desired. Unlike ABS which has the luxury of its production divisions to produce teleseryes (e.g. Dreamscape, Star Creatives, RSB Productions), GMA doesn’t have that kind of privilege because they’re financially starved. As a result, they keep on scrambling in vain to produce good dramas. Ang alam ko bawal yan sa ABS di ba? Conflict of interest? Baket sa GMA pwede? Feeling ko out of necessity na rin since GMA Entertainment is not doing well when it comes to production of programs. Si Rasonable lang talaga ang dapat sisihin kung bakit nagkakaganito ang entertainment division. Parang pinapabayaan na lang nila ang tungkulin na gumawa ng mga magagandang programa. Only way to fix this issue is if GMA merges its entertainment and public affairs divisions. Masyado na kasing indistinguishable ang dalawa. So I guess the question now is: in the first place, why does GMA seem to invest more in its news programs than its entertainment programs? Their news programs tend to be received better than their teleseryes; this was the case even during Galvante’s time. Even in the previous decade, the impression was that ABS-CBN makes better teleseryes, but GMA makes better public affairs programs. I have no idea. You should ask Marissa Flores of GMA News if you want to. Sirkus now confirmed for ending in five weeks. It’s a shame they’ll end so soon. Gosh, how can GMA respond to Wansapanatym now? Neither Sirkus nor Ang Daig ng Lola Ko stood a chance against that long-running ABS fantasy anthology program. But Lola is still running (at least for now) right? Or maybe the solution isn’t to go for a Wansapanatym clone and instead go for a more original concept that doesn’t have to do with fantasy. Viewers probably won’t mind watching an alternative. But where will they find some inspiration? They have exhausted all efforts to compete with Wansapanatym but to no avail. And it’s gone. Wow, finished almost as soon as it began. Given that it was a GMA Public Affairs show, it’s not like a long run was expected to begin with, but it seems that it just didn’t catch on either in Kantar or AGB. Poor GMA; honestly like I mentioned before, as much as it would be a gamble, I think they should just give up aping Wansapanatym and go for something more original; maybe people just don’t like watching what they believe are “uninspired” or “unoriginal” shows. And the funny thing is that now GMA fantards are defending the short run, saying “buti nga para di nakakaumay” or “at least mabibigyan ng chance ang ibang mga palabas”. I don’t remember them saying that when IANU or Encantadia were on the air, so I guess it’s just fantards making excuses again. An experiment that didn’t exactly go their way. Oh well, they can go back to airing sitcoms.